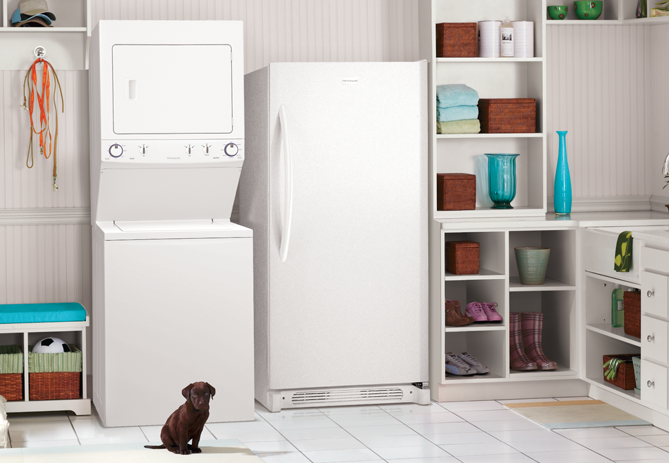 The Frigidaire FFLE1011MW washer/dryer stackable can serve as a complete laundry center. 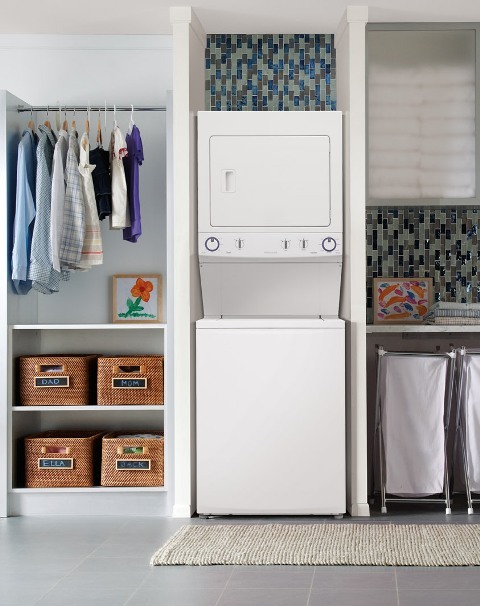 It packs in extra efficient and convenient features for the price, and thus this stackable unit is a great choice for laundry rooms that lacks wide space. It stacks electric dryer of 5.5 cu. ft. capacity on top of a 2.95 cu. ft. washer. Both the dryer and the washer feature 8 different cycle options in order to meet everyone’s laundry needs. This stackable unit is not in our top ten for obvious reasons, but you should check out its details and specifications because this is a model that should definitely be considered in your buying process. Capacity (cu.ft. ): Washer Capacity: 2.95 cu. ft.; Dryer Capacity: 5.5 cu. ft.
Ready Select Controls – you can get the laundry started with one button touch. Large Capacity – 2.95 cu. ft. washer and 5.5 cu. ft. dryer capacity. Immersion Care Wash Action – it gently moves and spins detergent and water through clothes for better cleaning. 3 Wash Selections for Temperature – hot, warm and cold. 3 Rinse/Spin options – adjust the spin speed according to the clothes you’re washing. 8 Wash Cycles – versatile options for different fabrics. 8 Dryer Cycles – choose the best setting for every load. Advanced Vibration Control System – it balances large loads for quiet and smooth operation. Conveniently located fabric softener and bleach dispenser. 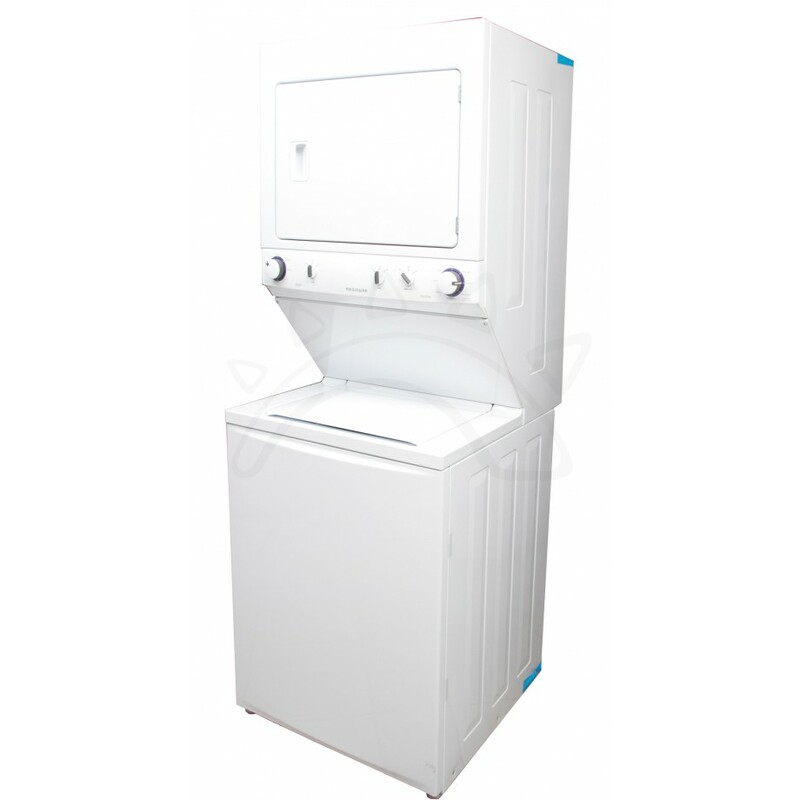 All-in-one design – combines the dryer and washer into a compact package. Warranty: One year warranty on all parts and labor. Wash Programs: Normal, Heavy Duty, Delicates, Rinse and Spin, Normal/Heavy, Bedding, Presoak, Casual. Dry Programs: Normal, Heavy Duty, Delicates, Casual, 15, 30, 60, 90. Temperature Settings: Dryer: high, low, medium; Washer: cold, hot, warm. 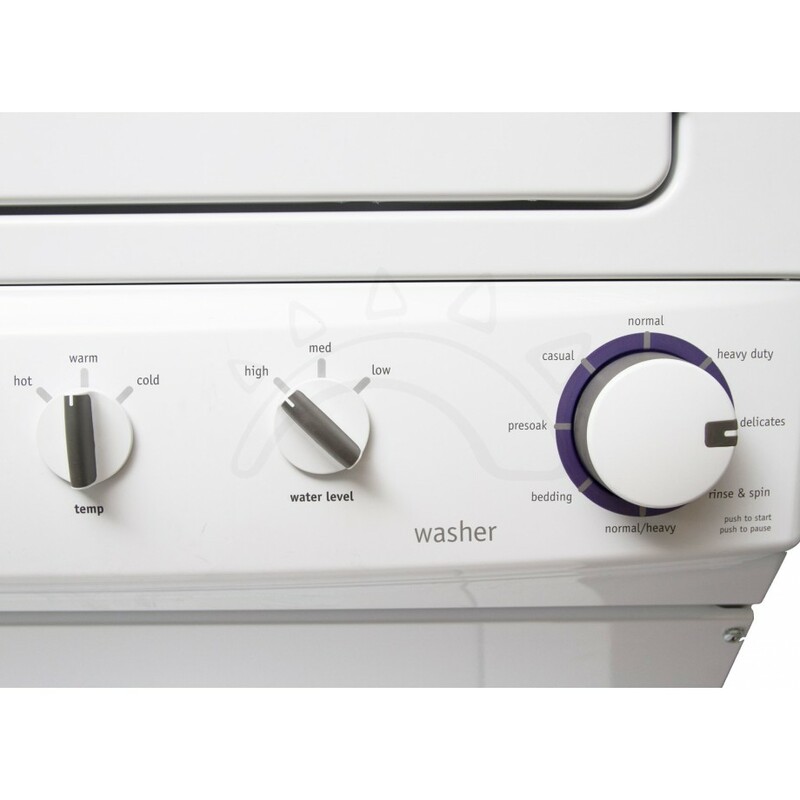 Options: Washer Options: 3 temperature selections, 3 water levels, energy saver option; Dryer Options: 3 temperature selections, no dryness level selection, Timed dry minutes: 15, 30, 60, 90. Tray Dispenser: 2 slots: bleach and fabric softener. Materials: Painted Steel Drum Material for Dryer; Polypropylene Drum Material for Washer. It takes too long to wash and dry. Conclusion: The features are not so bad for a stackable, right? The price is good for the capacity. Personally, I’d go for a combo unit, but if you’re a person who wants simple appliances, maybe you should opt for this stackable.